Three times every year, Wally Schoon flies over to Latvia for ministry – particularly amongst the public school teachers of the country. 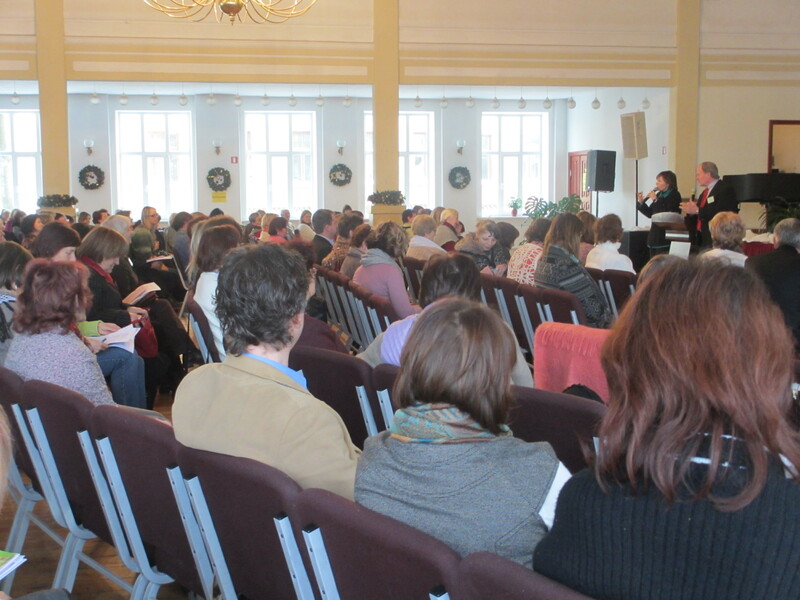 A weekend conference is held every October, January and April. Along with the educational seminars, much is shared from the Word of God, and teachers are coming to know Christ. Every new teacher attending each conference, also receives a Bible. 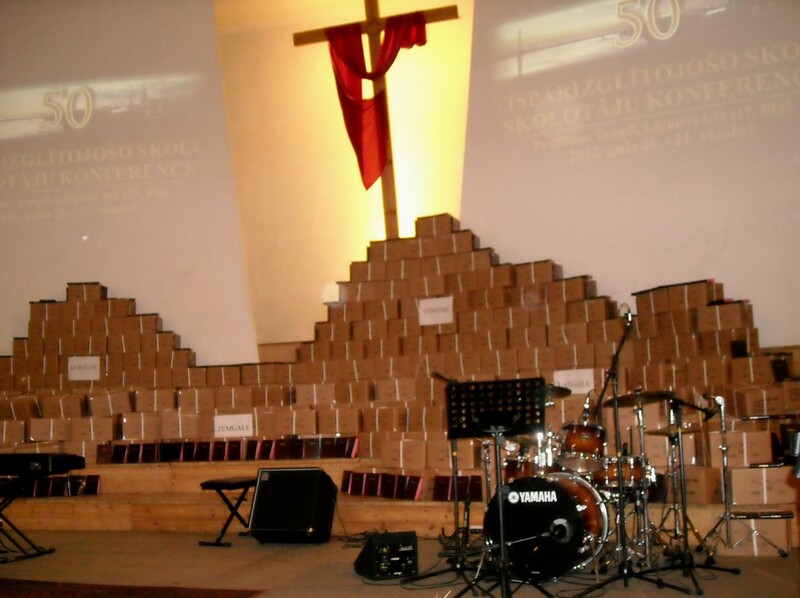 Last October, 10,000 Latvian Bibles were dedicated (purchased with gifts sent in to the Latvian Christian Mission for that purpose). All boxed and ready to go, all but 2,000 of them have been distributed in these three months to public schools around Latvia, finding their way into classrooms, principals’ offices and some into the homes of students! In view of the fact that His Word is living and active, this means there should be many positive results to His glory. As Wally travels around Latvia (and he does speak in a number of the public schools), he says he sees Bibles in just about every classroom where he teaches. The doors are still wide open for the Gospel. While teaching at the Baltic Pastoral Institute this past month, Wally had many good individual conversations. He commented: “They were beginning to grasp the fact that enjoying His indwelling life precludes any and all other aspects of the calling they may have. 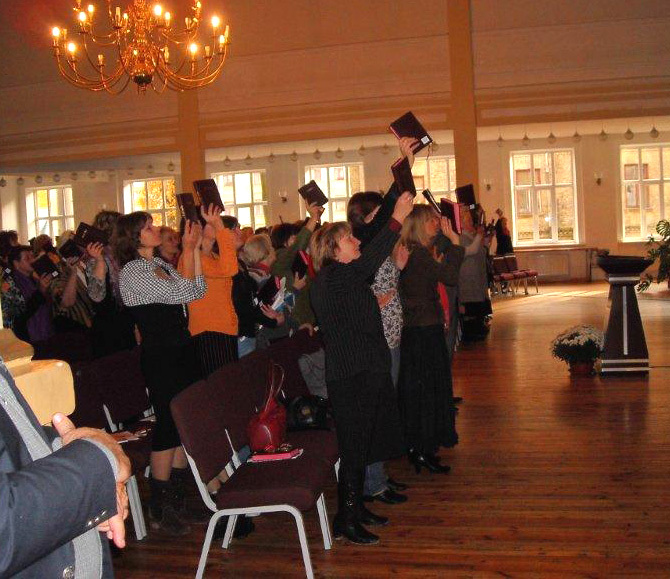 There is a critical need for pastors in Latvia who know Him as their life and joy.” In fact, one student said in the last class, “If I understand this correctly, it means that I cannot live the life of Christ in my own strength but He must live through me!” Yes, His Spirit truly gives understanding. Amen to grace, if only all the christians would grasp grace and what it meant to be born again, that would not only revolutionize the church world wide, and people would direct people to Jesus grace and not their own examples!